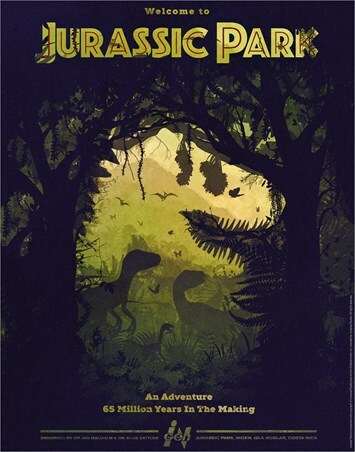 Welcome to Jurassic Park, where you can see the prehistoric past living in the present day. 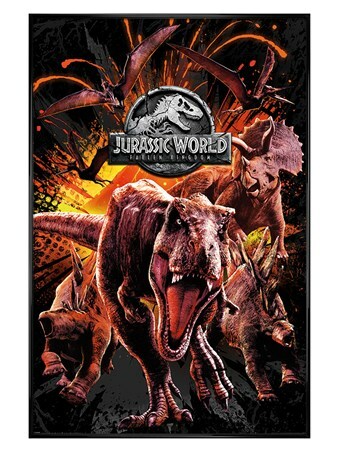 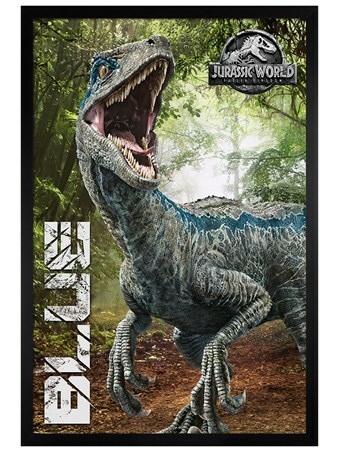 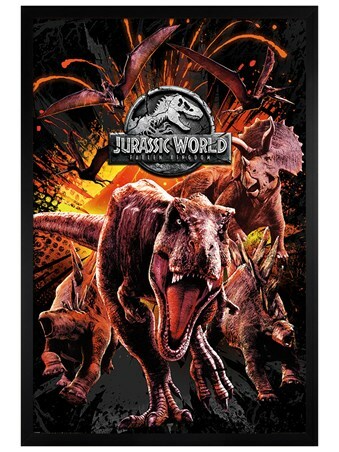 Velociraptors, Tyrannosaurus Rex, Brachiosaurus - you name it! 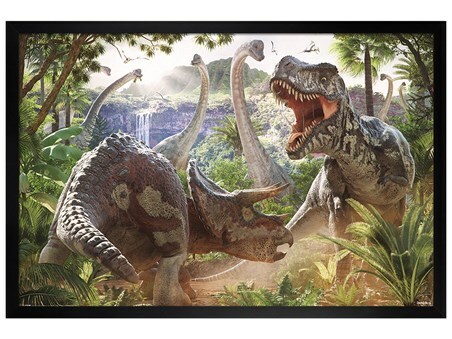 Every dinosaur fan must make the trip of a lifetime to Isla Nublar to see the spectacle for themselves! 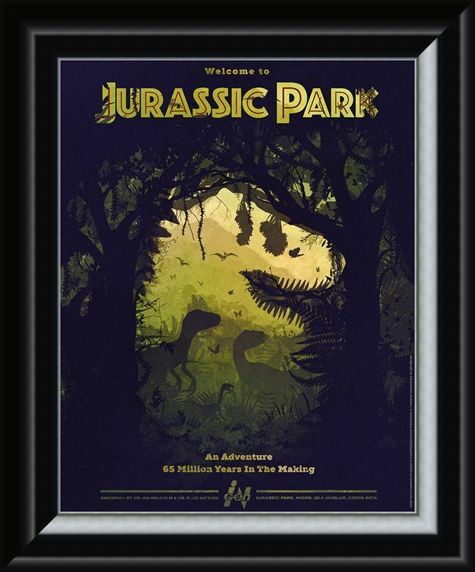 If you loved every second of these epic movies, then you'll be head over heels for this limited edition print. 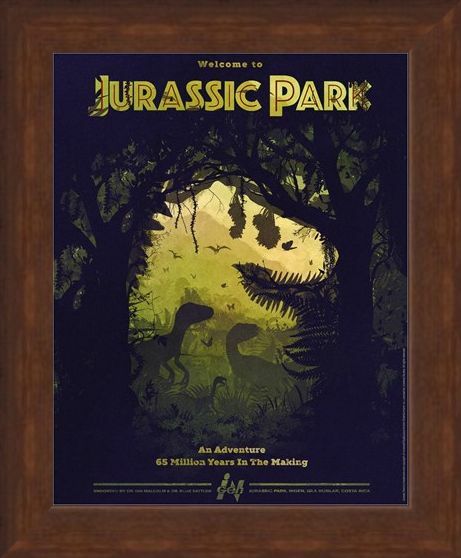 Featuring the escapees roaming about the green island, this design gives you those excited chills all over again. 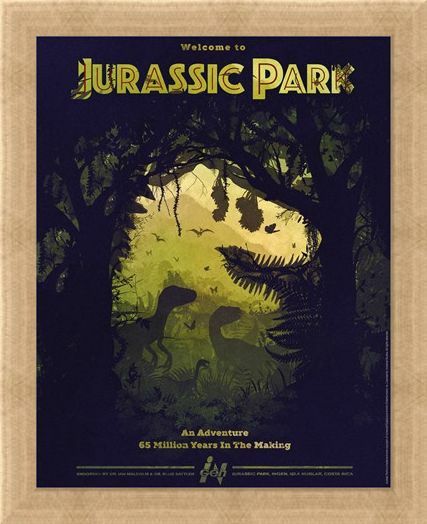 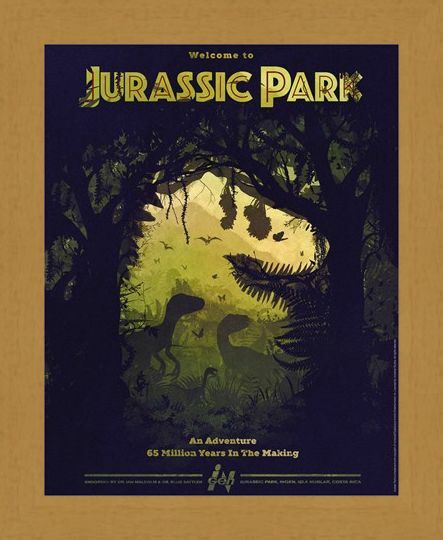 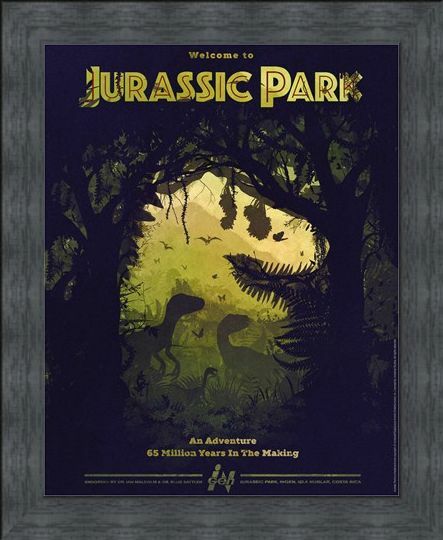 A must have for any Spielberg fan, you can have your very own unique and numbered piece of movie history to preserve in your home. 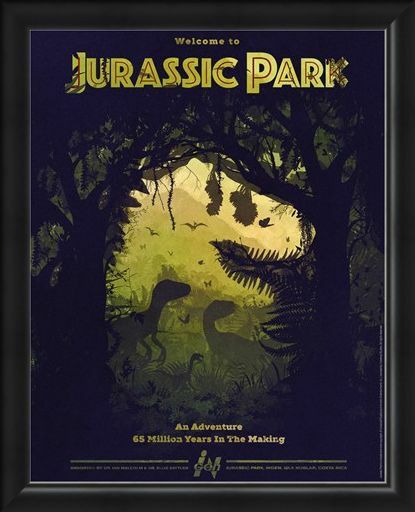 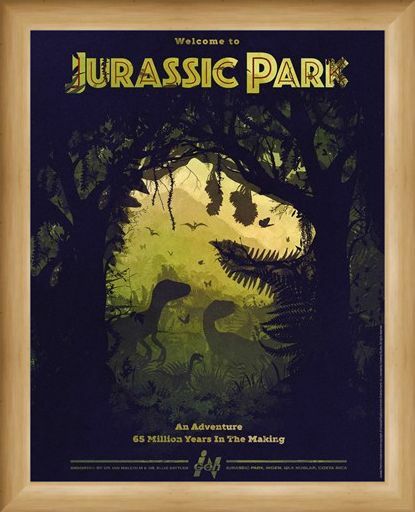 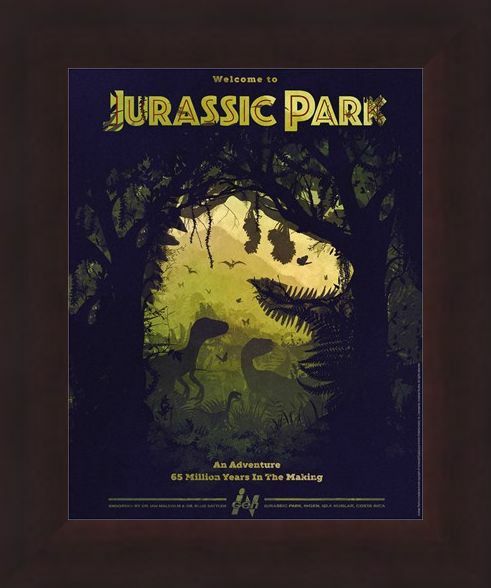 High quality, framed Dino Silhouette, Jurassic Park limited edition print with a bespoke frame by our custom framing service.